From the moment a child is born, he or she is actively learning about the world through his or her senses. When you observe a young child, you will see that he or she is eager to explore physical objects through touch, taste, sound, and other senses. Montessori education is designed to accommodate the natural way in which children learn. This is why the Primary Program at Starwood Montessori School provides sensorial materials to enhance the learning experience. When children interact with sensorial materials, they begin to learn how to classify information. In sorting through information about their environment, children learn to adapt to it. Children also begin to understand their role within the environment. Sensorial materials are distinctly different from practical life materials. Whereas practical life materials are those which a child may encounter in everyday life, sensorial materials are purposely designed to be outside of the child’s normal experiences. This allows children to use his or her prior knowledge to understand new experiences. 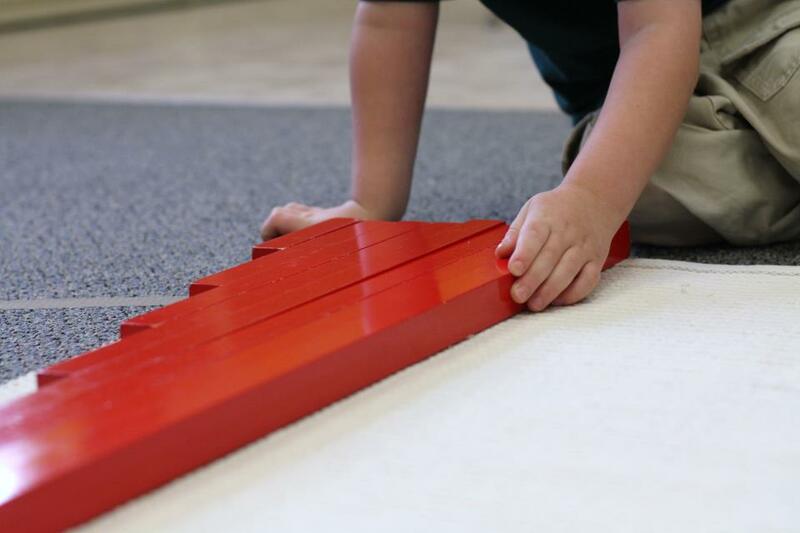 Montessori materials are designed to be aesthetically pleasing and to allow abstract concepts to be understood in a tangible form. Sensorial materials in particular present just one specific quality to a child at a time to narrow the child’s focus. Sensorial exercise groups include visual sense exercises. These activities help children learn to use sight to identify similarities and differences. As the term suggests, tactile sense exercises encourage children to use the sense of touch to understand materials. Baric sense exercises focus on the weight of objects or the sense of pressure, while thermic sense exercises refer to the quality of temperature. Other sensorial exercise groups include auditory, olfactory, gustatory, and stereo gnostic sense exercises. The teachers at Starwood Montessori School look forward to welcoming your family to our dynamic and positive learning environment. Our Montessori School in Frisco accepts children ages three through six in our Primary Program, which is designed to support each child’s unique personality and passion for learning. Parents who are interested in our approach to Montessori education and our supplemental curriculum may contact us at (972) 712-8080.